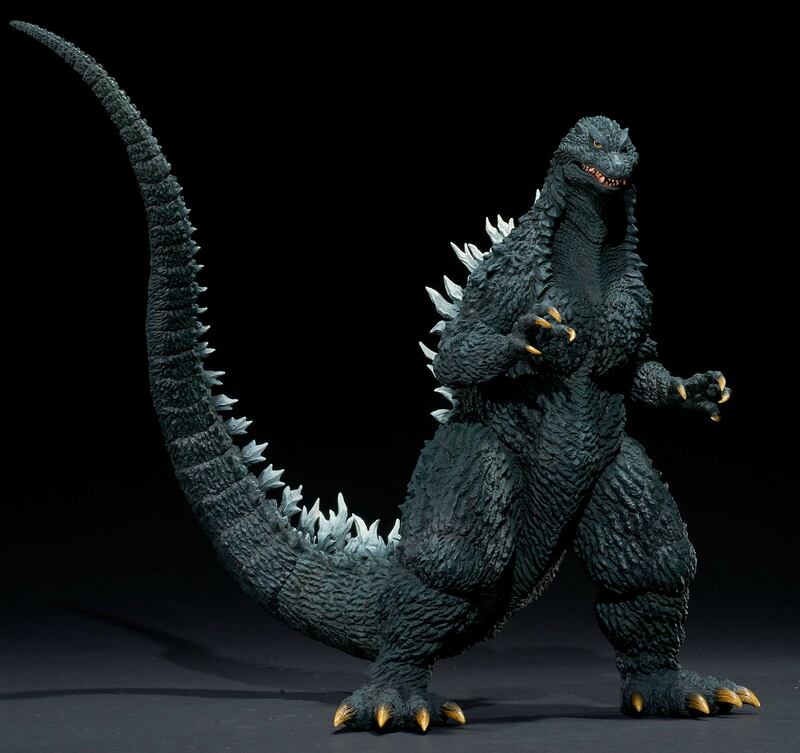 Last week X-Plus revealed the Toho 30cm Series Yuji Sakai Modeling Collection Godzilla 2002 Battle in Arashi 酒井ゆうじ造形コレクション ゴジラ(2002) 嵐の中の攻防 vinyl figure. 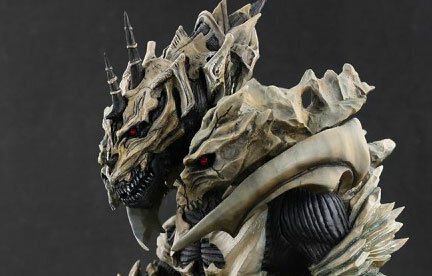 Sculpted by master Yuji Sakai, this hyper accurate figure is based on Godzilla’s appearance from the 2002 film Godzilla x Mechagodzilla. It will stand at about 28cm (11 inches) and it will require a tail base to stand. 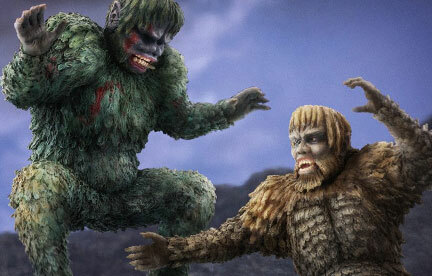 This is the first time Godzilla 2002 will get representation from X-Plus in its modern catalog. 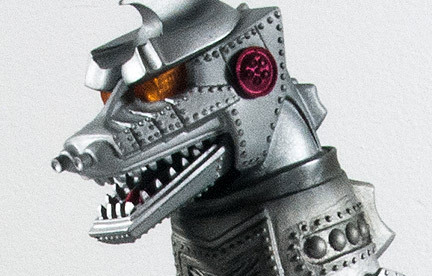 The closest they’ve come is the original 30cm Series Godzilla 2003 (Review) from Godzilla x Mothra x Mechagodzilla: Tokyo SOS. I’m not up on what (if any) differences there are in the suit. But there will, at least, be clear differences between the two figures. 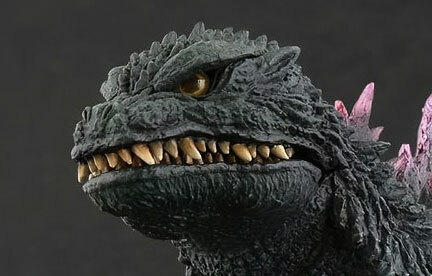 Unlike the original 2003’s upward gaze and roaring mouth, this new vinyl based on Yuji Sakai’s original resin kit will feature a Godzilla looking almost downward with a rare (and always welcome) closed mouth. It is up for preorder right now as both a Standard and RIC Exclusive version. 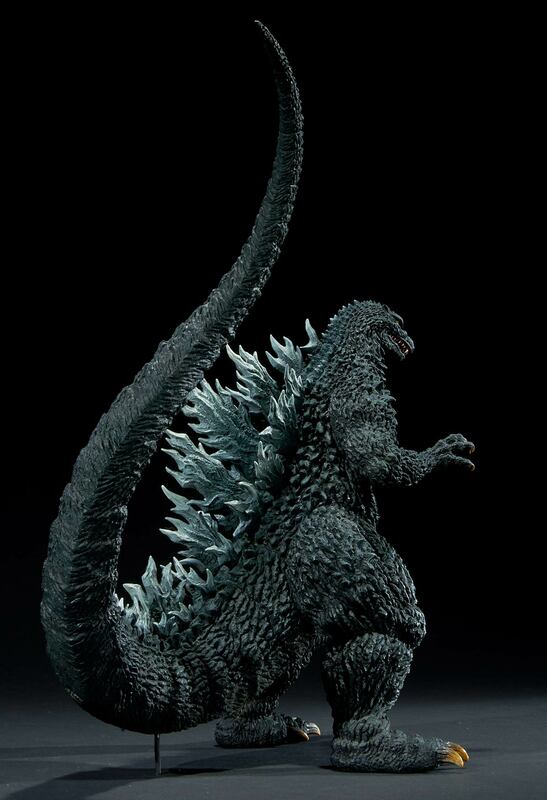 The RIC will come with a light gimmick in the dorsal spines and will run ¥28,620 (about $261 USD). If you are set up to navigate X-Plus’ all-Japanese web store, you can order it here. Just remember they will not ship outside of Japan. You’ll need a forwarding service like Tenso.com to get the goods. Preorders will end on February 19, 2019. It is expected to be released in April 2019. You can reserve a Standard Version at a nicer price if you don’t mind not getting the light gimmick. All three stores will ship direct to you overseas. The Standard is also due out in April. The Standards are easy enough to get on your own. But if you’ve set your sights on a RIC version, you can preorder one easily from Kaiju Addicts and Flossie’s Gifts & Collectibles. Payment Plans are available but must be paid up by April!